The bottom side of her pedigree is stacked with old time proven sires that include Antonius, Horn, Solway Adonis and King Arthur. We like the progeny out of San-Mar Pharao. They come easy and he will produce both quality males and females. 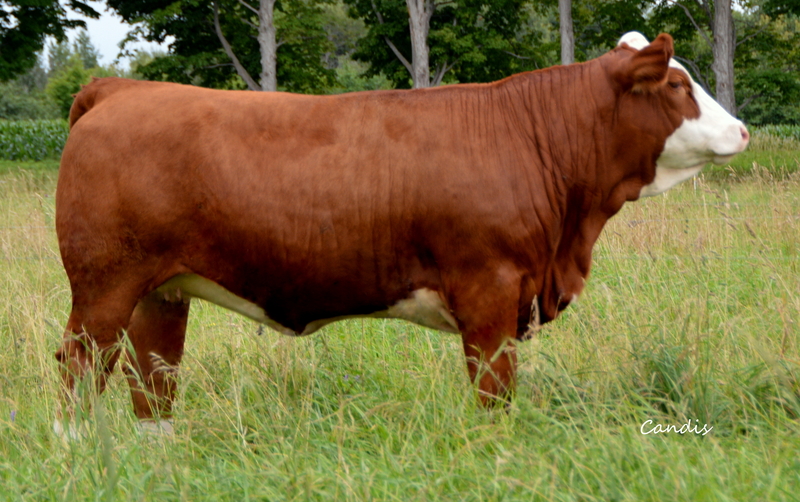 This summer we sold a San-Mar Pharao son to the Buzzard Hollow ranch USA. We believe this young lady will go to work for her new owner, be a maintenance free cow, with the power bred into her to produce those good ones for many years to come. 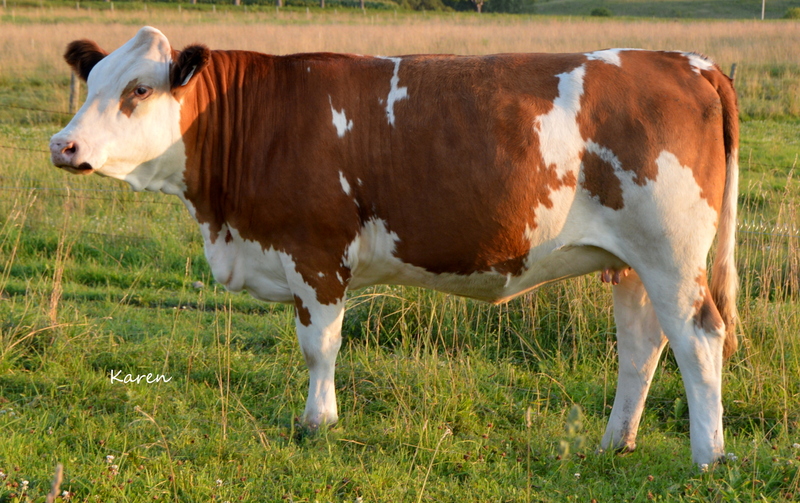 Her dam DLD Princess is one of a very few King Arthur daughters walking pastures here in Canada. We are of the opinion that King Arthur imported into Canada in 1971, is perhaps the best Fleckvieh bull to ever set foot here on North American soil. 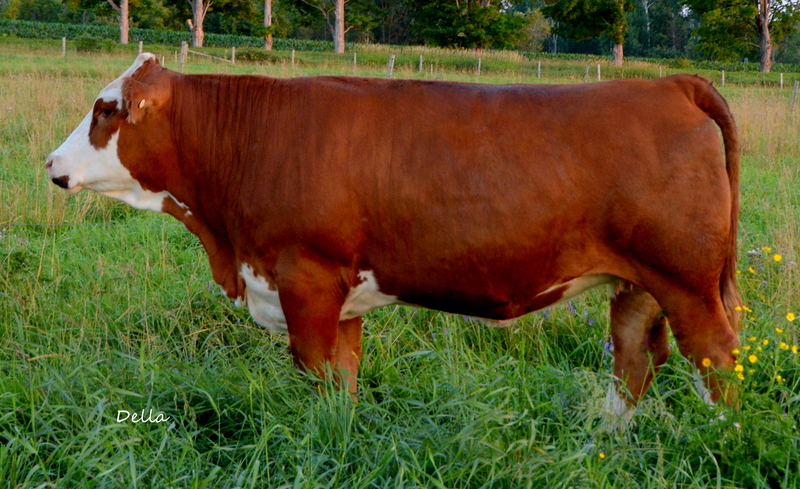 Kate is bred to San-Mar Pharao, who has worked very successfully here on heifers. We have 3 San-Mar Pharao daughters working here at Dora Lee and they are hard working females that are getting it done year after year. 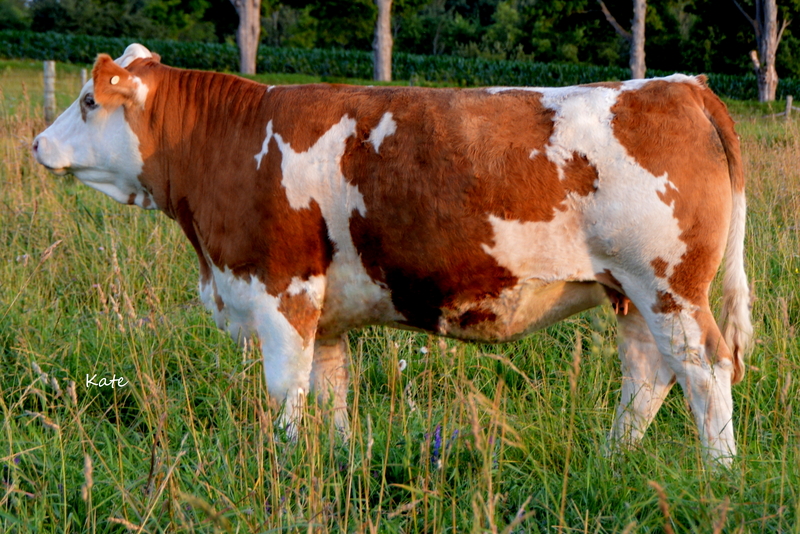 It is with a great deal of pride that Betty and I offer this quality heifer for sale. heifer calf at side this year. 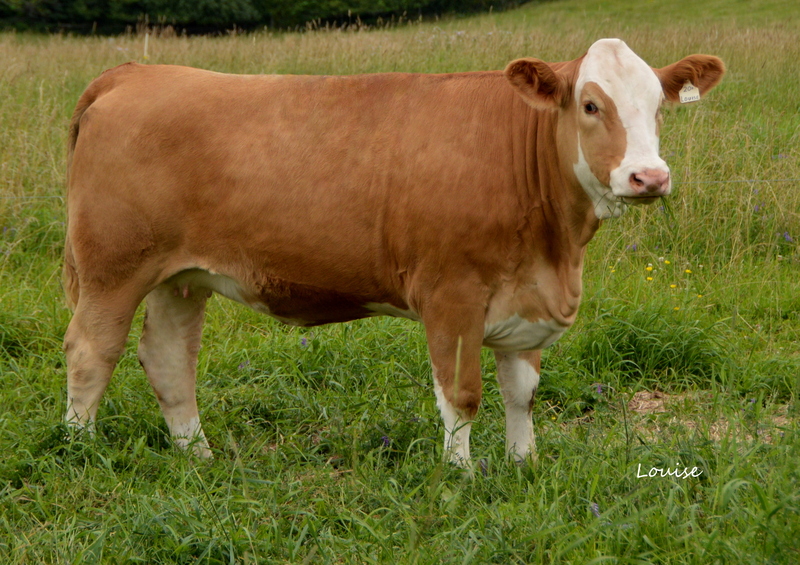 * Dam: Dora Lee Sonia 25S – a granddaughter of the legendary 1972 U.S. Iglhoff bull . 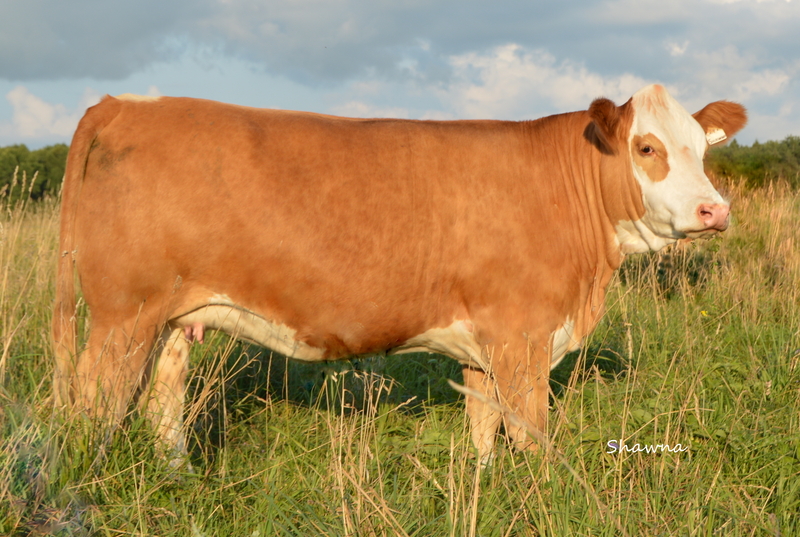 Shawna’s pedigree is stacked with time proven genetics from the past, bulls that our great Fleckvieh breed has been built around after arriving here in the 1970’s. 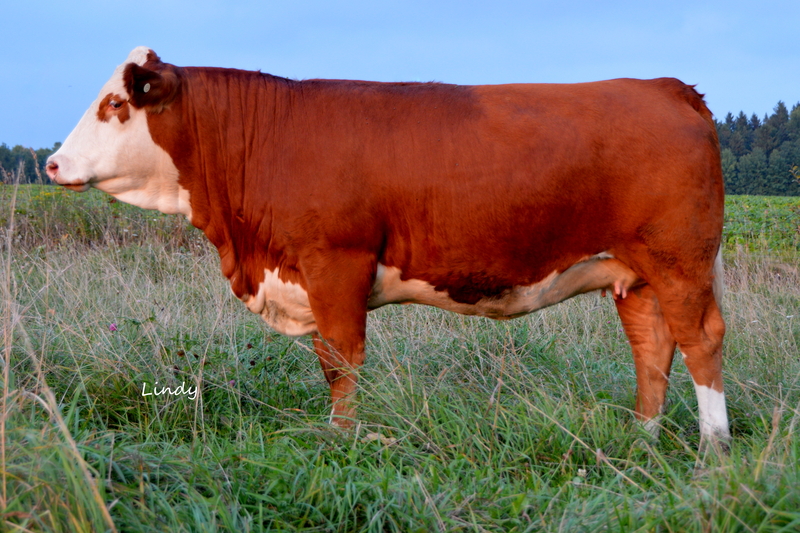 Sold to Brian & Lynn Vail, Vail View Simmentals, Clarksburg, ON. Out of an up and coming female that is impressing us, Cadis shows a lot femininity and style as she goes about her way developing into outstanding female with her whole production life still ahead of her. We normally would not be selling this young lady. However, we believe Platinum is going to have big influence on our Fleckvieh industry and it is time to introduce a daughter to our fellow breeders. Sold to Henk-jJan Van Ginkel, Norwich, ON.